United Way of the New River Valley has created an easy, affordable, and effective way for your company to give back to our local community in a way that benefits your business, too. It may be the best investment you make all year – for your business AND your community. For a dollar a day, or $365 a year, your business can become a member of the LIVE UNITED 365 Small Business Circle. What is the LIVE UNITED 365 Small Business Circle? 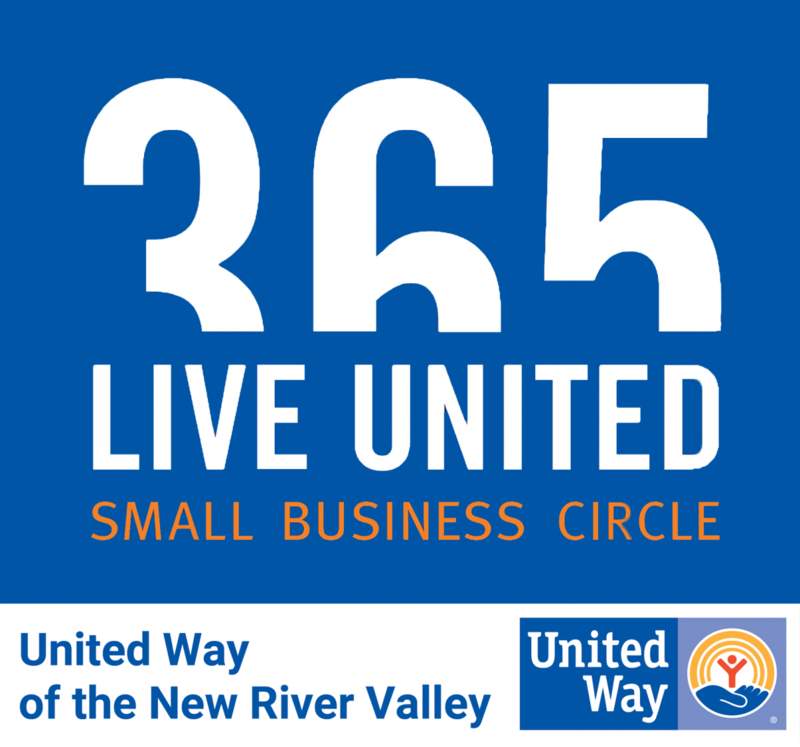 The LIVE UNITED 365 Small Business Circle is an exclusive group of local small business owners who are committed to investing in ongoing, impactful, and meaningful work in the New River Valley through United Way. While UWNRV has been bringing business, individuals, and organizations together to advance the common good for the last 50 years, a new initiative is starting in an effort to make philanthropy easier and more rewarding for small businesses throughout the New River Valley. The stronger you can help your community become, the more revenue your business will see. Small businesses are often sent multiple requests to support a variety of important causes that combat food insecurity, education disparities, and other work to meet local needs. But most people and companies rarely have the time to explore these requests in depth, to determine which to give to or which will be the most sustainable and life-giving to the community as a whole. When you give to United Way of the New River Valley, your gift will support these efforts and more, allowing you to invest in initiatives and programs that create long-lasting, measurable, and positive change to Strengthen Families and Youth, Promote Self-Sufficiency, and aid in Health and Crisis Intervention in the New River Valley.